Learning is constant. As web design professionals, you have to be constantly in the know about the latest trends and technologies in web design. Aside from those skills, you also need to develop other aspects of your life to achieve a good work-life balance to succeed. That is why you might be surprised that a lot of these books on our list don’t just focus on web design, but also about business, self-improvement, and more. Here is our list of the best web design books for 2017 to draw inspiration as well as learn important principles from. You might have read some of them while others might be new to you. Pick one or a few of them from the list, sit in your favorite chair, or go to your own private space, and get ready to learn and be inspired. 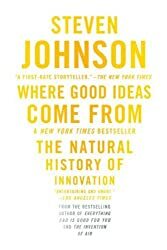 This is a simple and quick read about getting inspiration and coming up with ideas. The book also tells you that inspiration is everywhere and creativity is for everyone, not just for the genius or multi-talented. 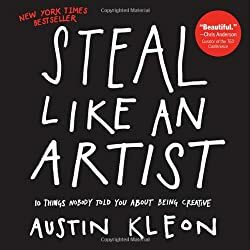 It says that creativity doesn’t necessarily mean being original, but a combination and collaboration of existing ideas and turning them into novel forms. Steve Krug tackles web usability and the interaction between humans and computers, stating that a website should allow users to accomplish what they want to do as easily and directly as possible. He also gives very helpful tips how a simple tweak can enhance a website’s usability. 3. 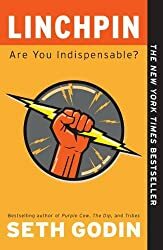 LinchPin: Are You Indispensable? A linchpin, according to Seth Godin, is someone in an organization who is indispensable, valuable, and irreplaceable. 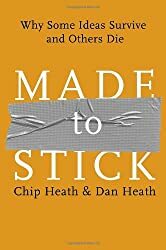 This book teaches principles and ideas how to become a linchpin by becoming an artist who does emotional work. By emotional work, he explains, is work that matters to you, work that you are willing to sacrifice all other alternatives. When you do this, you become passionate and accountable to the choice you made. 5. 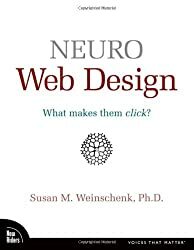 Neuro Web Design: What Makes Them Click? Susan Weinschenk talks about how various website features affect the user’s brain. She stated that our buying decision is greatly influenced by our unconscious – based on our emotions and automatic triggers. This insight greatly helps a web designer how they should design the website, and how they should combine and incorporate all other features that will influence the consumers’ unconscious and increase conversion. Paul Jarvis needs no introduction in our 1WD community, and we know that his ideas are golden nuggets not only to web designers but to almost everyone. The book reflects his personality as he combines different interesting anecdotes in his freelancing career with practical tips and ideas to help you conquer your fear and reach your highest potential not only as a person but also as a web design professional. He also challenges his readers to embrace vulnerability, be true to yourself, and settle for nothing less. It’s not really about web design, but about leadership. 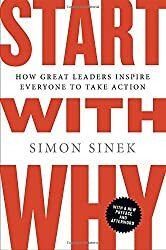 Simon Sinek answers the question why some people and organizations more influential, innovative, and profitable than others. He used several examples of people who stand out – the Wright brothers, Steve Jobs, and Martin Luther King were just a few. They are no different from others, nor are their ideas, but why did they stand out? One reason Sinek gave was their ability to inspire and motivate others. If you want to stand out as a web designer, this is a must read for you. This is a book by designers for designers. If you are also into mobile app development, then this is a good read. 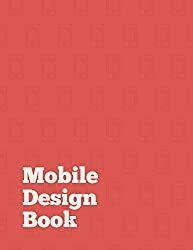 The book talks about mobile design principles that make apps successful. 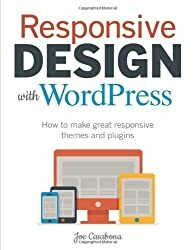 it’s not limited to operating systems, as web design is evolving, we’re having responsive design, not an option but a must, principles in the book will help you understand how to design websites for smaller screens. 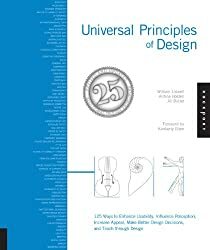 A comprehensive guide about design principles and elements, from the purpose of design to color. 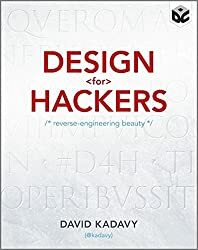 David Kadavy used “hacker” as a reference to a “renegade group of entrepreneurial-minded people who are changing how we work, live, and interact. He adds that a hacker strives to learn in order to achieve his vision, is curious, and is entrepreneurial, just as we often encourage members of the 1WD community. One of the goals web designers want to achieve for their clients is to increase website conversion. 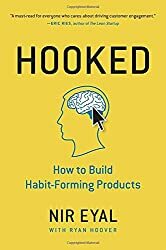 In this book, Nir Eyal helps you achieve that by teaching you to look at underlying patterns in technology and how they are utilized to hook us. Once you become aware of these patterns, you can incorporate them into your design to enhance user experience and increase conversion. How often have you made mistakes as a web designer? Mistakes are inevitable, and they are necessary. 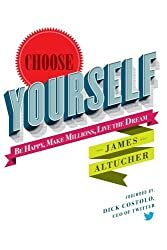 When it comes to mistakes, James Altucher is no stranger to them, using them as examples in this book to encourage his readers that these are normal and feeling like a failure at some point is also normal. However, when you begin to choose yourself for success, when you’re honest and open about the real you and your authentic passions, you jumpstart your success. If it’s from Smashing Magazine, it must be something good, right? Right. This fourth eBook installment talks about the mistakes most websites make and a solution for each of them. The content is easy to understand and provides priceless input about web design perspectives. This is a very old book written 25 years ago, but its content and principles remain relevant even until today. 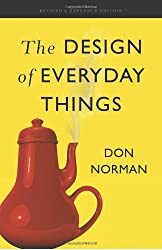 Don Norman talks about the relationship between design and human interaction. He also gives important lessons on the concepts of discoverability, affordance, signifiers, feedbacks, mappings and constraints. This book provides information how to create great user experiences. Bill Scott and Theresa Neil were instrumental in designing UX for Yahoo and Netflix for years, so they know what they are talking about when they say UX. 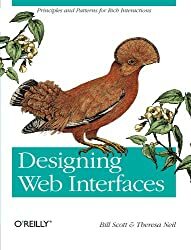 Here, they present more than 75 design patterns for building web interfaces that provide rich interaction. So if you’re looking for practical tips or just inspiration, you can start with this book. 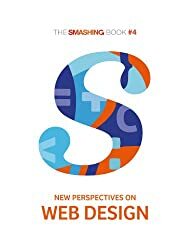 This book is another easy read and is ideal for those who are starting out as web designers. 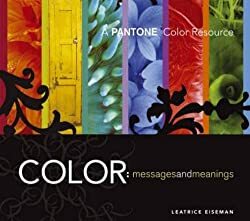 On the other hand, it can serve as a refresher on the basics of web design with topics that tackle color, typography, imagery, and texture. It also includes a lot of examples to make each point easier to understand and apply. Running out of inspiration? 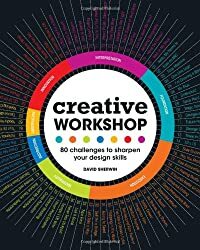 Creative workshop is full of exercises for practice and exploration to help you discover which processes work best for you. It is perfect for budding designers as well as for those who’ve been in the industry for a long time. Design agencies can use this to provide a challenge for the team. As we often say here on 1WD, you are not just a web designer, but also an entrepreneur. This mindset is very important if you want to succeed and last in the industry. As a web designer, your clients are important, especially their loyalty. Why? Because loyal customers are less sensitive to price competition, more forgiving of small glitches, and, ultimately, become “walking billboards” who will happily promote your brand. Tim Harford boldly declares that there is no such thing as ready-made solutions. He said that even expert opinion isn’t enough to help you tackle your problems. In short, we have to re-learn everything we know about solving problems – we need to ADAPT. 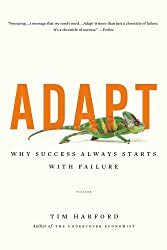 This book tackles different issues we face in the present world and explains the necessary ingredients for turning failure into success. If you want to survive and prosper not only as a web designer, but in everything, this is a must-read. Already a popular figure in the web community, Mark Boulton created a no-nonsense guide for designing websites using the principles of graphic design. Boulton explains the academics of typography, layout, colour theory and grids. For each theory he shows when and how this applies to the web, and even when to be crazy and break the rules to make it even better. Just make sure you learn the rules before you break them. This is a great reference book written by William Lidwell. 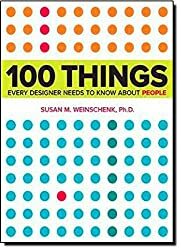 It is accompanied by images and explanations to help you better understand a lot of design concepts and principles, from the 80/20 rule to 100 different design concepts. The book has been translated to 16 languages. Most books about CSS and HTML are boring, even to web design professionals. 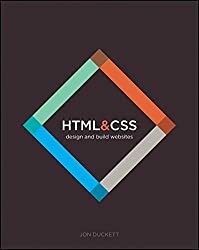 Jon Duckett takes a fresh approach to make the book interesting without watering down the essential information you need to know about HTML and CSS. This is a good investment for those who really want to know about coding. Want to know more about typography? This book by renowned typographer Robert Bringhurst gives you more insight to the beautiful art of typography. He explains the history and theory of typography along with practical examples. He also introduces new innovations and techniques in font technology, making this a must read for anyone who wants to integrate beautiful typefaces to their websites. This book by Joe Casabona is for those who are trying to learn how to create repsonsive themes and plugins. A good read for those who are learning WordPress for the first time. 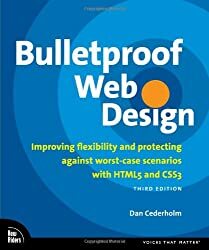 Dan Cederholm, the author of Web Standard Solutions, brings yet another easy-to-read book on web design problems and offering ways how to solve them. Then, he delves deeper by pointing out the weaknesses and strengths of each solution, and offers a solution that follows the best practices. If there is no clear-cut solution to a certain problem, he candidly tells his readers and allows them to decide for themselves. 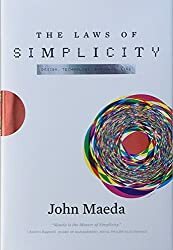 John Maeda writes in the premise that “simplicity is sanity.” He explains the 10 principles of simplicity which applies to almost any aspect of life, especially to product design. He advocates few buttons, few features, and few distractions while providing practical solutions and strategies to optimize the power of simplicity. 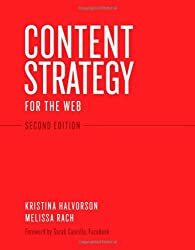 If you have or are thinking to have a web design agency, this is a book to help you identify what good strategy is. 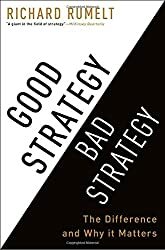 The book says that most organizations don’t have good strategy because, in the first place, they don’t have one. Instead, most organizations have visions, or mistake financial goals for strategy, or have a hodge podge of conflicting policies and actions. The book title says it all. 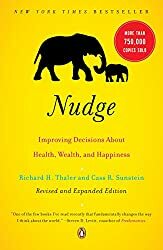 From time to time, each of us needs a little nudge to make wise and better decisions. 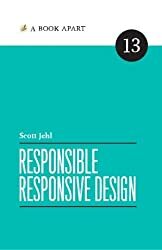 You might think that the book is irrelevant to you as a web designer, but you’ll be surprised to find that there’s more to it to help you as a web design professional. 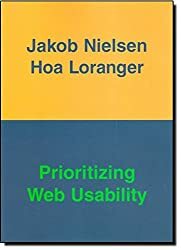 This is another book that is not directly related to web design, but will surely broaden your perspective as a person and also great lessons you can apply as a web designer. One of them, as the title suggests, is how little things make a difference. 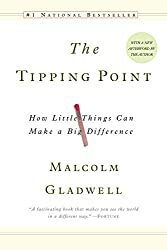 Malcolm Gladwell also discusses how things become very difficult and reach a tipping point, but suddenly things turn around and start taking off. 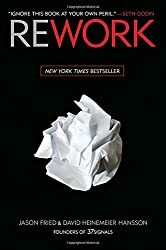 Rework has received both good and bad reviews and both camps give “candid” reviews about the book. Reviews aside, the book draws some real-life experiences from the group that created Basecamp. They talk about changing how businesses are run and the tools they use to achieve the work. It also emphasizes that you can basically start a business by maximizing free tools available on the Web. A must-read if you’re looome tips about building your business. Ideas come and go but there are some ideas stay with us for a long time. Why do these ideas stick? This is the question asked by Chip and Dan Heath in their book. They continue to explore the idea how to make ideas stick in people’s consciousness. This is the same question web professionals, social media experts, and business owners ask themselves. This is the right book to find the answer to such questions. 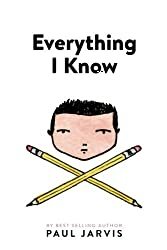 This is another book by Steve Krug and some sort of a follow-up for his Don’t Make Think book. 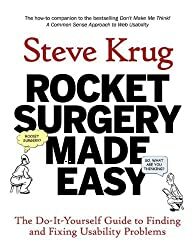 Here, Steve Krug discusses how to test any design, find the most important problems, and provide the easiest solution for that problem. It encourages teams to test early and regularly so they can spot and fix the problem immediately while it is still manageable. Why do we design? This is the question that Susan Weinschenk tries to build upon in this book. She explains the real reason why we do what we do as web designers. That is to elicit response from people whether it is to buy more products, subscribe to an email, or read an article. 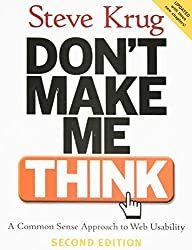 She also explains how people see, feel, hear, and think as opposed to how designers undergo the same thoughts and processes. Content is king and good design with poor content makes a bad website. Furthermore, better content means better business. If you want to learn more how to create good content, this book offers a step-by-step of the production, process, implementation, and maintenance of your content. The authors discuss the most common paradox of our times – working in the comforts of your home with just a click away, but working longer hours than necessary. They show us how to build a business and turn it into something sustainable and widely recognized while having a happy personal life on the other side. 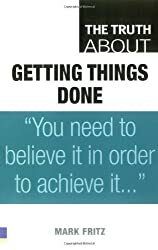 A very practical book which helps you identify and get rid of things that waste your time. The book talks about the shift of the American economy from being a manufacturing one to becoming service-oriented. So what does it have to do with you as a web professional? 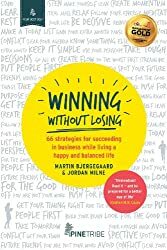 The book offers a lot of wonderful, if not revolutionary, insights on not just being the best in your chosen field, but re-defining what best means. It also resonates with what we often talk about here on the 1WD community about selling to them relationships and not just your expertise. It’s a good reference book to get insight about user experience. 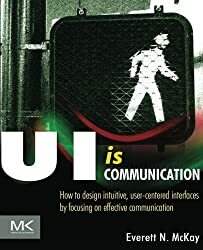 It is not a book about UX but the principles it has can be used to help you improve that. 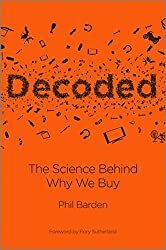 It serves as a comprehensive bridge between marketing and decision science showing that understanding consumer behavior is the springboard to creativity. 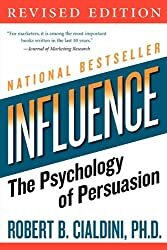 A national bestseller by Robert Cialdini, Influence is the product of his research about influence and persuasion. 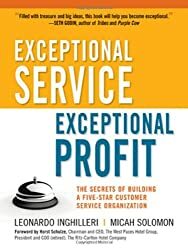 Written in a casual, easy-to-understand tone, each chapter is filled with interesting information and practical examples about reciprocity, scarcity, liking, authority, social proof, and commitment. The book comes with a promise that you can even influence the most resistant audience after reading it. Author Lisa Cabarga challenges her readers why they should settle into using others’ logos and typefaces when you can create your own. 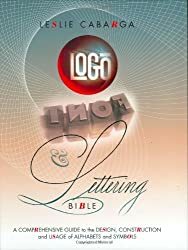 The book includes how to create innovative logo designs, design your custom-made fonts, and develop an eye for quality logo design and lettering. It is one of the most comprehensive guides to the science of color. The boo teaches you about color combinations and principles to help you create an effective design. Each point has relevant examples to help web design professionals from various levels of experience design better. 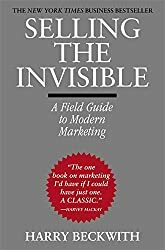 The book is an observation to modern marketing trends, especially by big brands. 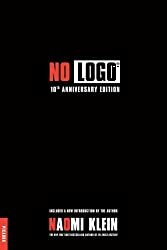 Naomi Klein talks about how super brands have become more ubiquitous and taking over almost all public spaces including toilets, school curiculla, neighborhoods, and more. How do you succeed and achieve all your goals? The book answers that question by providing simple home truths including focusing on your time, make the most of your environment, and how to adopt a winning mindset. It’s simple, plain, and powerful. Web designers are often faced with this dilemma – aesthetics or performance. The decision affects the website performance and load time. 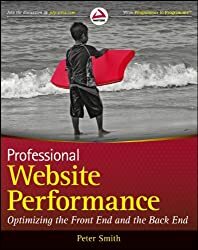 This is the problem the book addresses as it focuses on understanding of how page load time works, and what we can do to improve it and make the best overall user experience. 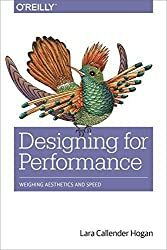 This book teaches you how to turn a critical eye on your designs as you focus more on developing new contexts and features as well as speedy and lagging networks. It also teaches you how to tune your design to performance and serve the right content across platforms. The author, Jakob Nielsen, is considered as one of the leading experts in web usability. He also talks about the importance of your homepage and the average time users spend on it and what can be done to improve the user experience. Another book that emphasizes on the importance of good content. 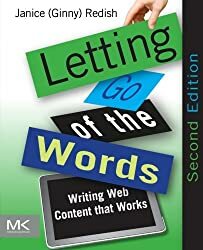 Janice Reddish, the author of the book, is a linguist by training and has been helping people build websites that couple good design and well-written content. So here is an expert that knows what she is talking about. The book offers great tactics and strategies to help you have good conversations throughout your website from beginning to end. 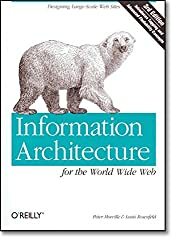 The book consists of two parts – the first part consists of theory and the second part is filled with practical examples which helps you use information architecture effectively. 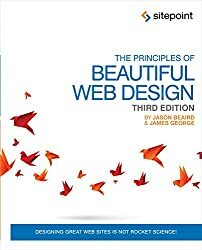 It is a must read for web developers who especially build large websites. 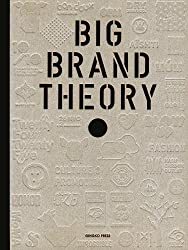 The Big Brand Theory looks into different successful global brands and dissects each element and feature which makes the brand successful. The author’s examination of each branding concept is multi-faceted and does not focus on only one area giving you useful insight about branding. The book presents the use of grid which the learning designer can use to utilize elements once thought as simple and static in ways which add dynamism to your layouts. 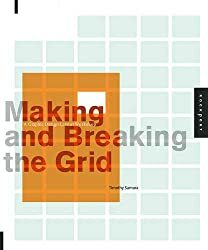 Although not a radical book, Making and Breaking the Grid is full of ideas regarding the most powerful aspects of communication design. A lot of designers will agree that User Interface is one tricky activity that requires an understanding of different concepts. The author provides a lot of exercises to emphasize each point.